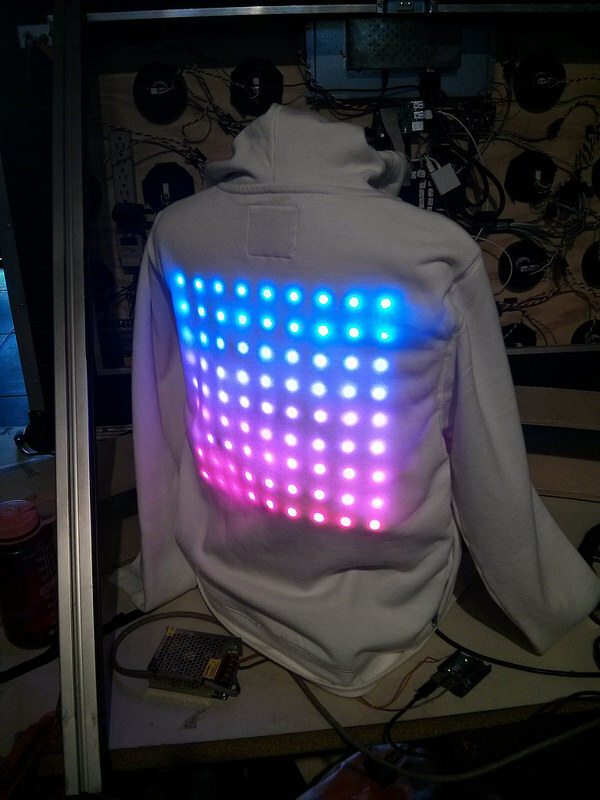 LED Matrix Hoodie by @eliot #WearableWednesday « Adafruit Industries – Makers, hackers, artists, designers and engineers! 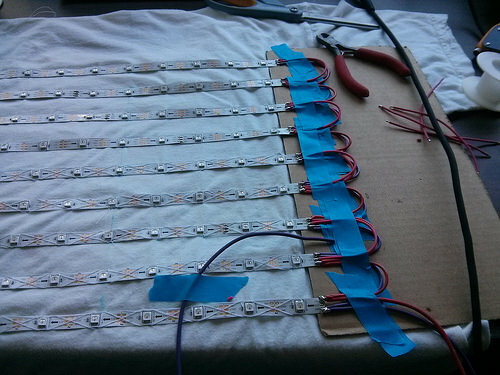 The hoodie has a 9 x 9 matrix of WS2812B LEDs: 9 rows of 30/m strips left over from the Tardis. It’s driven by a Teensy 3.1 with a 12000mAh LiPo battery. I sewed the LEDs onto a t-shirt which I then cut the back off of and stitched into the existing seams on the sweatshirt. This technique gives it a completely seamless appearance. When the LEDs are off, it looks like a normal sweatshirt. I unfortunately haven’t had time to write any pattern code for the sweatshirt specifically. 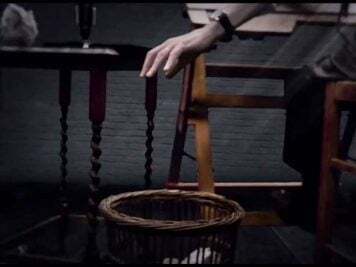 From running the Tardis code on it I’ve learned that the patterns that feature a lot of pixels completely off look the best since it makes it harder to tell the extents of the pixel matrix. I added an XBee socket to the controller as well so I could pick up the beat telemetry data from the Fuzzyland system.